High above the valley where the Tay meanders waywardly through the farming flood plains near Aberfeldy, is a cottage - Shenavail, Gaelic for the high township. I have walked past it many times. It has recently undergone considerable refurbishment, but retained much of its original character. It stands sentinal, alone, against a backdrop of brooding forestry. Its eight acres still run as a smallholding as they have for the last century. It's a remote, airy location, close to the heavens, where winds rattle the slates teasingly and the elements form an integral part of the picture. It was here that a remarkable couple, Joe and Susan McTaggart, raised their 11 children amongst sheep, pigs, house cows, poultry, ponies, cats and dogs. As Elsa McTaggart will tell you, she considers her childhood one of the richest on earth. "When I started school my mother had a fizzy 50cc motorbike and she took me for the first few weeks. I became the envy of my classmates." Usually in term time, she and her siblings set forth across the twisty hill paths descending through the fields or ancient Weem woodland, passing the enormous bastion of Weem Rock, to meet the school bus. Wellies were swapped for shoes hidden in a box near the road. "We weren't all at home to the age gap between us. I am fifth from the top, or seventh from the bottom, depending how you look at it," she explains. "I wish we were back there - I loved that place with all my heart, and have such happy memories of our upbringing. "We didn't see many people yet the house was always busy, full of life, and brimming with music. I never realised it, but I was musical right from the start. I have always loved singing. My brothers and sisters are all musical or arty; my father played after we had gone to bed. My mother plays the spoons and sings too, and she is a wonderful artist." Art and a crofting life are the roots of this family. Elsa's great-grandfather, son of a crofting family from Campbeltown, was the celebrated landscape artist William McTaggart, revered worldwide and often referred to as "the Scottish Impressionist". I had heard about the much-loved McTaggart family who made their mark on Aberfeldy, and were somtimes seen descending the hill to church by horse and cart, but it was not until a few years ago that I became aware of Elsa and her music, for they had long moved away. "Her voice is that of an angel - soft and smooth as velvet"
She and her husband Gary Lister were home from working in Gran Canaria, in bars and clubs and returned for a summer to hold concerts around Scotland. We eagerly went along, unsure of what to expect. Elsa is a strkingly beautiful character with a hypnotic stage presence. Now in her late 30s and with a wealth of experiences behind her, she puts audiences under a spell. 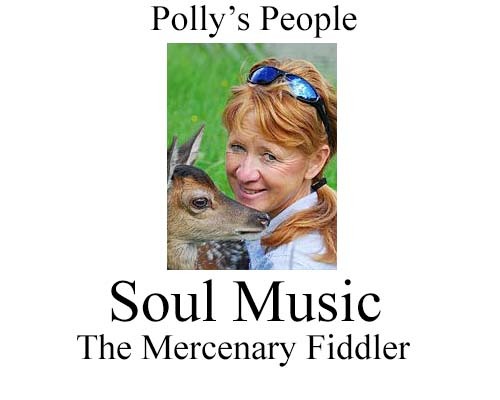 It’s as much about her aura, her stories, her chatty humour and the passion that emanates as she takes up a range of instruments: the fiddle, the guitar, the penny whistle or the button box. And then there is the voice. It’s that of an angel – soft and smooth as velvet, as haunting as the cry of the curlew, or as fiery and influential on the soul as a blazing Hebridean sunset. She writes much of her own material; pure poetry, laced often with sadness or humour – a great deal of humour, such as her glorious rendition of Fiddle In The Tax Office. Beside her and equally captivating is Gary, the grounding influence, the organiser, the rock that this passionate artist requires. He, too, is a life-long musician and accompanies Elsa on keyboards, arranges the tours and venues, the lighting and sound. "I have my head ever in the clouds and he is marvellous and deals with all the detail. If it weren't for him none of this would be possible. He gives me the confidence that I need to perform." Behind every great woman is always a great man. 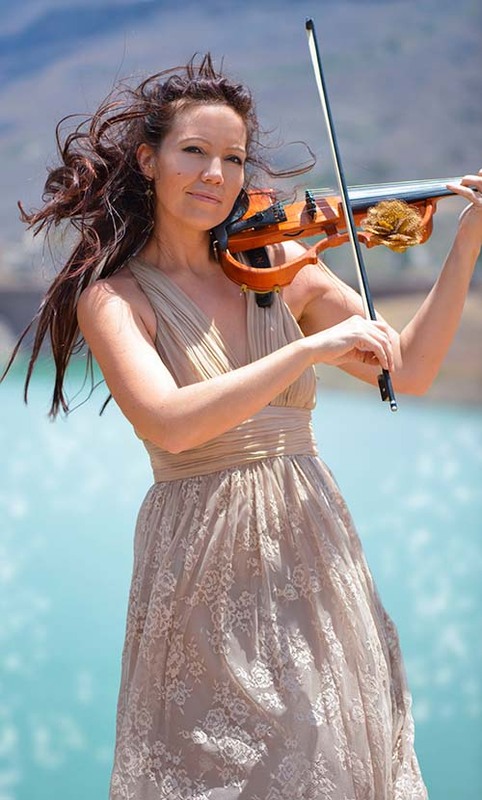 Elsa's music comes straight from the heart; she can switch to different genres, producing a quirky mix of electro-Celtic folk, traditional Celtic, rock, blues, or haunting Gaelic singing. She loves the mouth music that is such an integral part of Highland Island culture. "Music has been burning in my soul right from day one but I had no idea that this would lead to a full-time career. As a child I always had a mouth organ with me and rode onto the moors on my horse, and played it there. When I was 10 I had the chance to learn violin at the school for a six month trial period. However it didn't work. I never practised and usually found lugging it up and down the steep mountainside was too much; it was always in the wrong place at the wrong time. "At 17 I left home and started to work horses. I bought a cheap violin and began to teach myself. I was learning the guitar and penny whistle and just loved it. "To begin with I was too nervous to perform in front of people, though I had often competed in the local Mod. "I went to Thurso College and Oatbridge to do an HND in equine and business management, and then I went on to the University of Wales at Aberystwyth to complete a BSc in equine science. "Suddenly it hit me like a sledgehammer that actually music was all that made me tick. I had moved to Ireland to work on a stud there, and found myself playing with a wealth of talented musicians in evening sessions. I sat in the background listening, and then joined in. Her work took her to Gran Canaria, where she toured as the Mercenary Fiddler, and it was here working in clubs and bars that she met Gary. Originally from Fife, he was in the tourism entertainment business. Once a member of Dysart Brass Band, he played organ in a Kirkcaldy church and was in demand for parties and ceilidhs. Like his wife, his musical talents are many; currently he seems happiest putting Elsa to the fore. 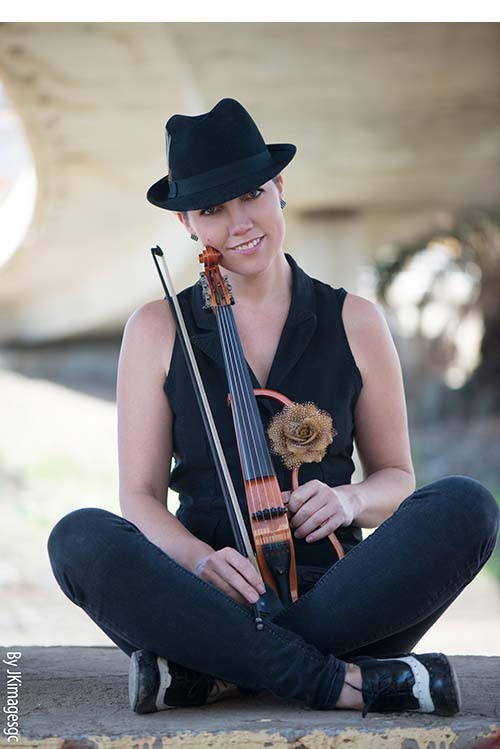 In 2010 Elsa was invited to tour with the legendary Finbar Furey as supporting act and fiddler. She brushes this aside, but it was a great accolade, further indication of her burgeoning talents. The decision to return home permanently in 2015 has taken Elsa on an extraordinary journey. In recent years she and Gary have played village halls on Muck and Rum, and gigs in Ireland, England, Wales and Norway. In 1994 Elsa’s parents and the younger members of the family moved to Arnol on Lewis, where they became loved and respected members of the community. Joe was a skilled sculptor in wood and bronze with a passion for nature. Elsa was particularly close to him and says that they were two of a kind. In 2007 Joe and his youngest son Dan (13) were canoeing close to their Lewis home when both drowned. It devastated the family and their circle of friends. Some time later, Elsa had a dream that she turned into a song about her father and brother tending flower beds in a park in Edinburgh. It’s a moving tribute to them and as with all this patriotic Scotswoman creates, comes straight from her soul.